Envato’s latest entry into the world of WordPress was announced today, with the release of version 1.0 of the Envato Elements WordPress plugin. The plugin, which has been in beta since August, already boasts over 50,000 active installs, many from first-time Envato users. While the company has been a long-standing contributor to the WordPress community through its market leading ThemeForest and CodeCanyon marketplaces, this is the first time Envato has built its own plugin in-house. 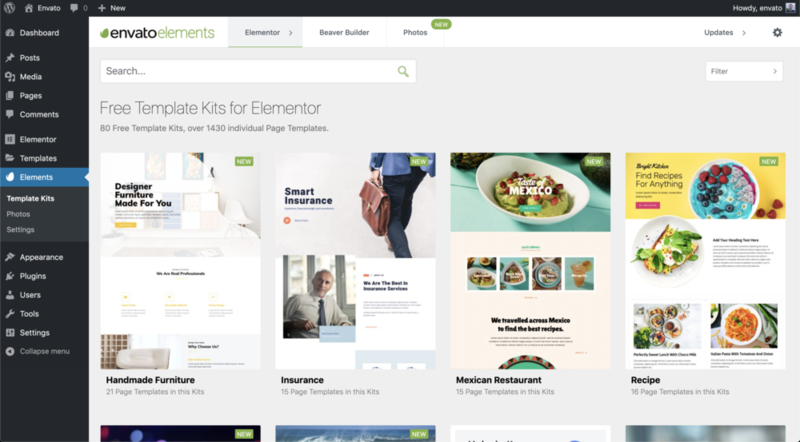 The plugin provides users with more than 2,000 free templates drawn from the company’s global creative web design community and covering a full range of niche interest areas, from restaurants and small businesses to creative portfolios. 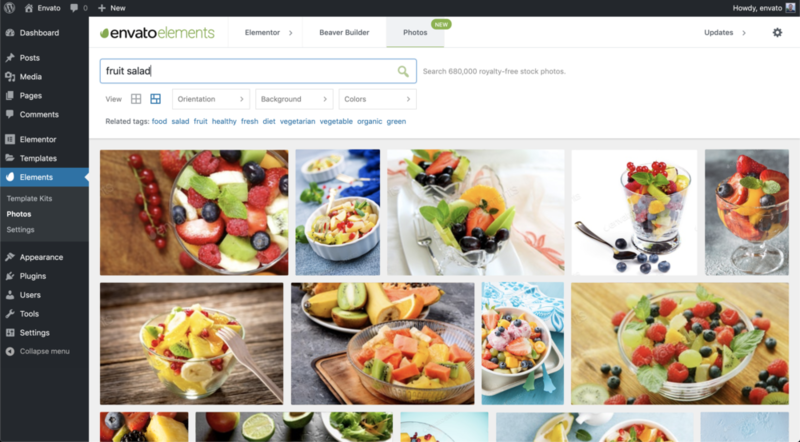 The plugin also provides access to 670,000+ high-quality stock photos for Envato Elements subscribers, allowing them to easily browse, import and license photos directly into their websites without having to leave the WordPress dashboard. With a one-click import system and support for both Elementor and Beaver Builder, Product Manager Aaron Rutley said the plugin team wanted to make the process of building a beautiful website with WordPress, as simple as possible. “Until now, Envato was a collection of websites you went to, to buy and download creative assets. Now, you add the plugin to your WordPress install, and you can keep your site visually updated without ever leaving your dashboard,” said Rutley. The initial beta launch taught the team a lot about what the web design community expects out of such a product, said Rutley.